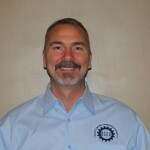 Keith has over 20 years of experience in quality and engineering. Over the years, Keith has acquired a vast knowledge of internal processes and has developed strong working relationships with each client. Among his accomplishments are the assistance in development and launch of the original supplier site containment program at Nissan, launching of the 3CPR program for Chrysler and supporting the first hot stamping program implemented in the United States. His eye for detail, from raw material to finished goods, can take you from the point of origin, throughout the manufacturing process, to the shipping dock and beyond to not only fulfill the needs of the customer, but reduce scrap, implement quality checks, increase safety awareness and raise your company ratings. Matt joined the QCCG team having more than 10 years of quality experience behind him. He is knowledgeable on a variety of sectors with a background in Maintenance Engineering, Commercial Lighting, Production Processes and Industrial Engineering. As a Nissan PQE and Supplier Development Engineer, he sought out ways to improve supplier quality and manufacturing systems. 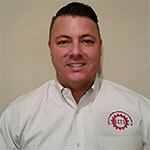 Matt’s specialty is working with the most “at risk” suppliers to trouble shoot failures in their current manufacturing systems and implementing corrective actions to resolve ongoing problems. Matt is very detail oriented and gives 100% dedication to each project he takes on. Jason has a well-rounded background in many facets of quality control. 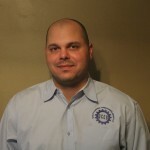 In addition to being a United States Marine, Jason has a strong experience in project coordination, root cause analysis and new product launch. Jason has worked his way up over the years with hard work and aggressive eagerness to consistently improve. Jason’s organizational skills help him to follow a project from beginning to end and implement the necessary protocol for improvements. With Jason’s ingenuity, you can count on your customized project being structured and delivered in a professional manner.